Risk modelling firm AIR Worldwide has reduced its estimate of insurance and reinsurance industry losses caused by hurricane Irma, narrowing the range and dropping the upper end to now forecast somewhere between $32 billion and $50 billion of losses across the U.S. and Caribbean. AIR Worldwide said that in the United States insured losses from hurricane Irma will total between $25 billion and $35 billion, while in the Caribbean they will total $7 billion to $15 billion. Previously, AIR had at first estimated the industry loss from the event at $20 billion to $65 billion including the Caribbean, with the U.S. likely to suffer up to $50 billion of the toll. The estimate was then lowered to $20 billion to $40 billion for the U.S. alone and now the range has narrowed and reduced further, as AIR gains greater certainty in the insurance and reinsurance market impact. AIR said that it has now sent a team of engineers to the areas impacted by hurricane Irma, so it will release findings in the coming weeks and likely be able to further update and narrow its industry loss estimate range. 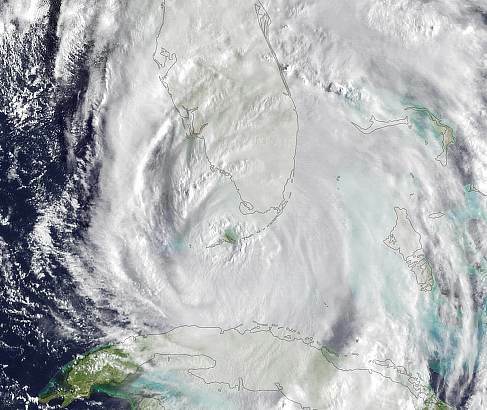 AIR’s estimate of industry insured and reinsured losses for the United States include wind and storm surge damage to onshore residential, commercial, and industrial properties and their contents; as well as losses to auto lines of business. They do not include losses to the National Flood Insurance Program (NFIP); losses due to compromised existing defenses (e.g., natural and man-made levees); losses to uninsured properties; losses to infrastructure; losses to inland marine, marine cargo and hull, and pleasure boats; or any losses related to hazardous waste cleanup, vandalism, or civil commotion, whether directly or indirectly caused by the event. Across the Caribbean, AIR’s loss estimate includes wind and precipitation-induced flooding damage to onshore residential, commercial, and industrial properties and their contents, auto lines, and time element coverage (additional living expenses for residential properties and business interruption for commercial properties). AIR’s Caribbean estimates do not include infrastructure losses; hazardous waste cleanup, vandalism, or civil commotion costs whether directly or indirectly caused by the event; demand surge; offshore property losses; pleasure boats, and marine craft; losses resulting from the compromise of existing defenses (e.g., levees); and losses to uninsured properties. There will be a relatively significant amount of insurance losses to marine and boating lines from hurricane Irma, which may be captured by reinsurance and retrocession arrangements as well, hence it’s important to now what’s in and out of these estimates of market loss.